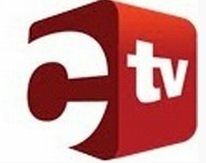 General TV Channel / C Television (C TV) is the flagship television station of the Caribbean New Media Group, a state-owned media company in Trinidad and Tobago. C Television broadcasts from studios at 11 A Maraval Road, Port of Spain, Trinidad and Tobago. The station boasts that its facilities are the most technologically advanced of its kind in the Caribbean region. The Caribbean New Media Group was formed in 2005 after the financial demise of its predecessor, the National Broadcasting Network (NBN), the parent company of the flagship television station, Trinidad & Tobago Television (TTT). The studios located on Maraval Road, Port of Spain were refurbished where the station commenced operations on June 5th, 2006. During the initial test period, programming consisted of a four-hour block from 6.00pm to 10.00pm.